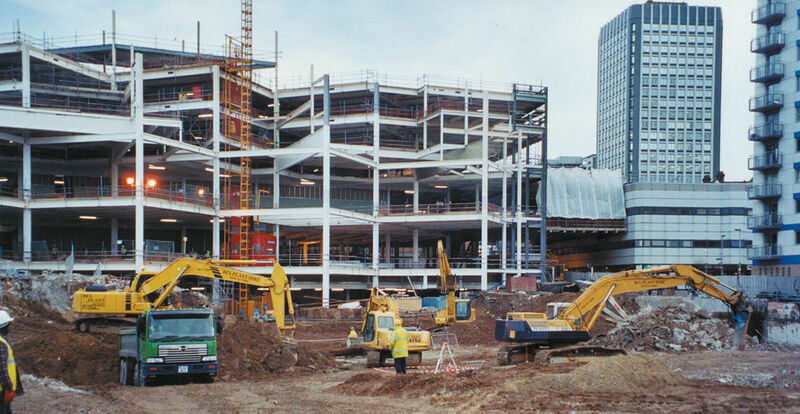 Matthews were involved in the earthworks, disposal and tipping as part of the Croydon Central Shopping Centre Project. The work involved included the provision of Lorries and tipping to facilitate the disposal of 70,000m3 of material from the basement excavation of the Central development. Matthews provided the resources to move on average 1000m3 per day as well as providing large quantities of crushed materials for use as temporary road surfaces on site. The bulk of the material was disposed of over three months, although Matthews were actively engaged on the site for a period of nine months.